While gearing up to take my daughter and my girlfriend on their first backpacking trip ever, I realized I had every piece of gear they'd need--except one thing. A mug. My daughter had been talking about the promise of hot cocoa by the campfire for a week prior and I knew my girlfriend would want coffee in the morning. 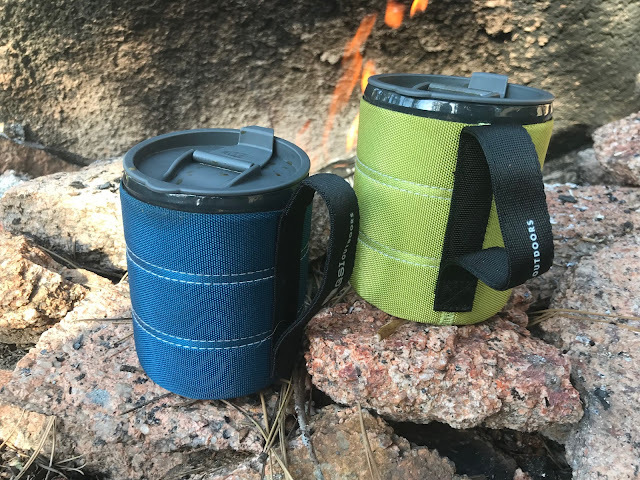 But I also knew bringing my spartan UL titanium mugs wouldn't be very practical given that things would probably be uncomfortable enough for them to begin with (think spills, burnt lips, etc.). 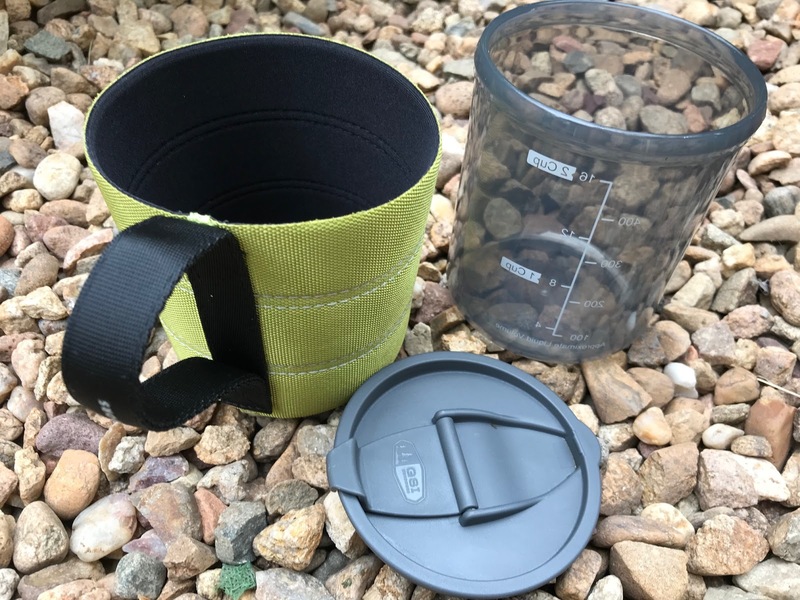 But while stocking up on fuel canisters for my Snowpeak Gigapower at REI, I happened across something that seemed like the perfect solution: The GSI Infinity Backpacker Mug. At first glance, it looked good ... insulated, spill-proof lid, collapsible handle, and just the right size. Plus, the price was right--only 10 bucks. I bought two and was pleased when their performance in camp met my expectation in the store. 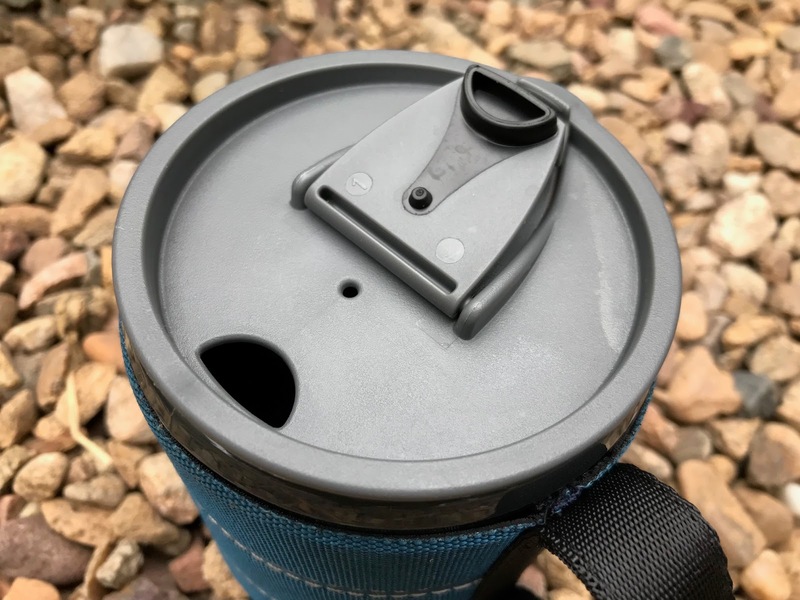 The sippy lid is totally leakproof thanks to a rubber gasket and the opening snaps out of the way when in use. Ours got knocked over several times and even stepped on without any leakage. 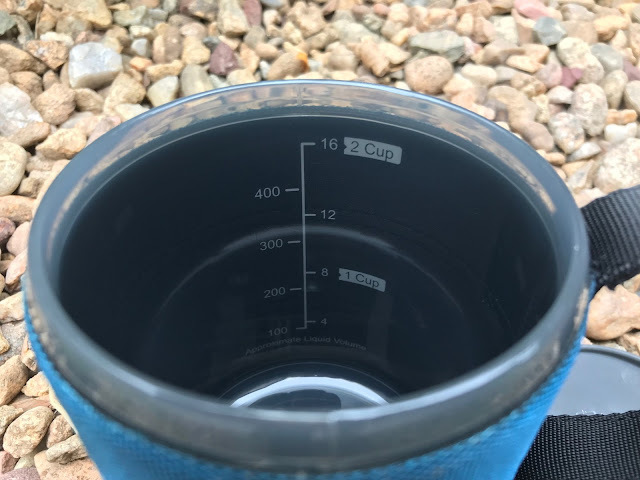 A nice touch is addition of measuring marks on the INSIDE of the mug making it much easier to read than on the outside (which is how most manufacturers do it). The components come apart for easy cleaning (hand wash only). 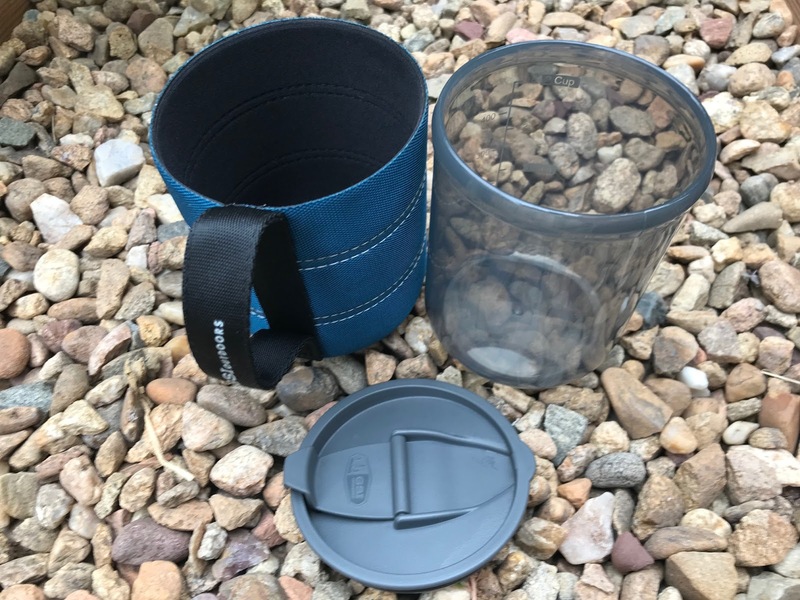 The inner mug is polypropylene and could be used without the insulated foam sleeve if you don't need to keep your drink hot and want to shave a few grams. On the bottom, there's a neoprene non-slip pad with a ventilation hole that makes it easier to slide the inner mug inside more easily. 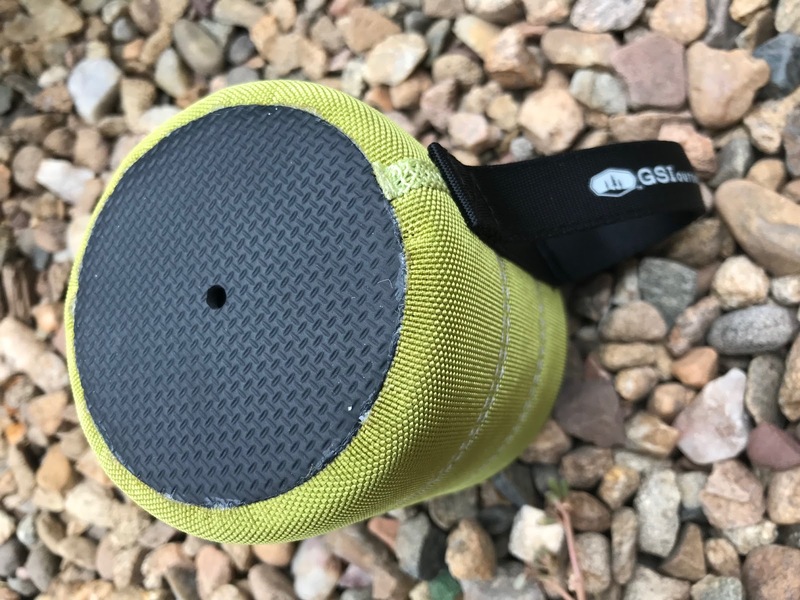 At 3.5 ounces, I wouldn't consider the GSI Backpacker Mug UL, but then again, this wasn't a UL trip, so the weight wasn't critical. Still, it's an amazing value when you consider the features, durability, and ergonomics. As a pathological coffee junkie, I even think the weight is justified to protect my precious java. So while I might not carry it on all of my UL adventures, it definitely has it's place in my backcountry kitchen. Have you tried the GSI Backpacker Mug? What is your experience with it? I love my GSI Infinity mug! When I first bought it I felt like I was "giving in" to unnecessary luxury and ounces, but it ended up being key for taking quick coffee/hot cocoa breaks during the day. Also, it allowed me to boil one pot of water in the morning and then have my coffee and oatmeal simultaneously (which would usually require me to eat/drink one before the other using the same pot). And you can't beat the price.